I've also wanted to have a murder mystery party. Madison and I decided that we would have one for her friends this year. We used the game Barbecue With A Vampire. 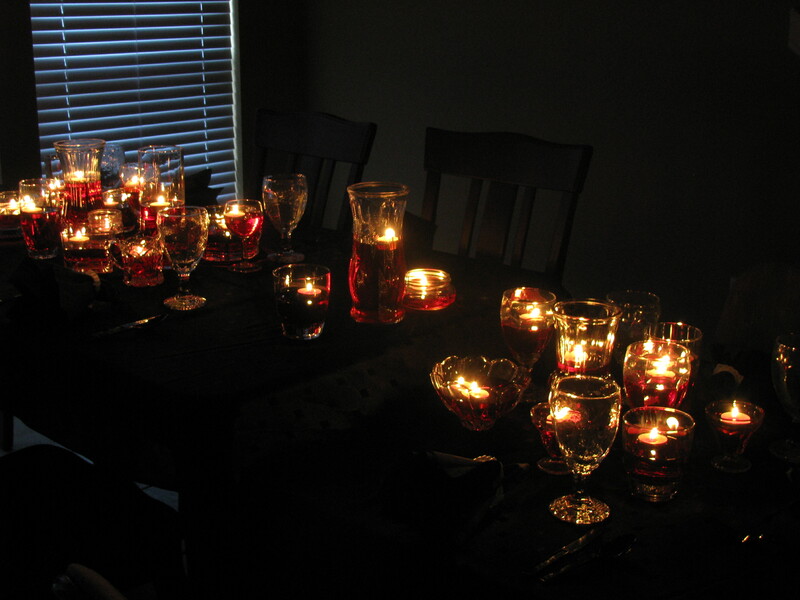 We set the table with vases filled with "blood" and candles. The table cloth, napkins, and dinner ware were all black. We used plastic vampire teeth for the napkin rings. For dinner we served Funeral potatoes, Killer kabobs, vampire sausage, blood punch and a delicious strawberry salad that didn't have a clever name. I also made caramel apples, but I forgot to serve them! 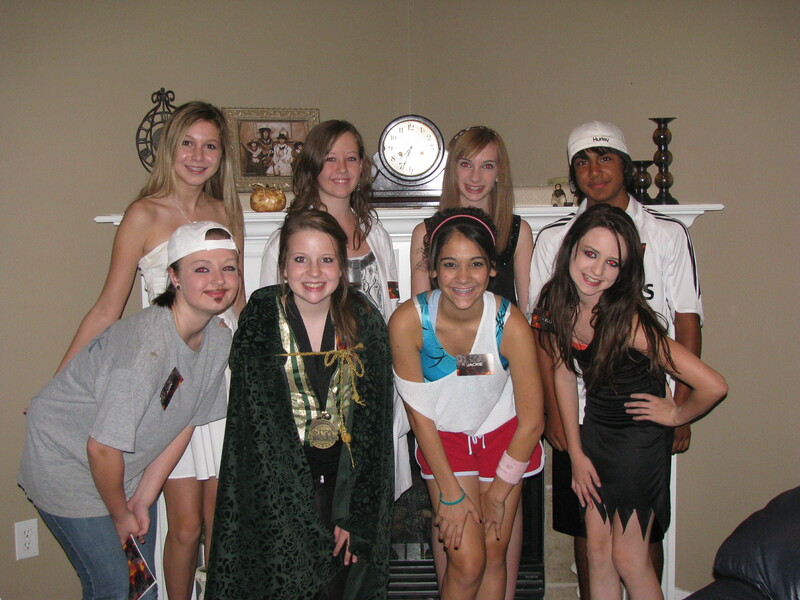 All of Madison's friends came dressed as their character. Everyone said they had a great time. I just felt like the game lasted F O R E V E R !!! It was fun spending time with Maddie's friends. She has chosen great ones! I always know they are making great choices. It was a fun night! How clever and adorable! The menu sounds yummy! The girls look so cute. What a brilliant idea! I love it! I love that she makes good friend choices! Isn't that a good feeling for you? Like, phew, I did something right in all this parenting mess! I've always wanted to do one of those. I have heard they are fun. I love the table...it looks so haunting. Would you happen to have an extra copy of the invitation to this game that you could email the front/back & inside of it? Or even a used one that I could possibly scan and edit?